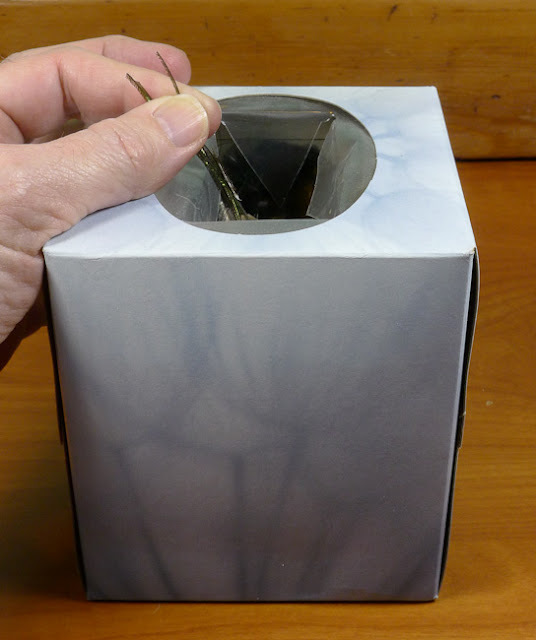 Rather than discarding an empty tissue box, try using it as a scrap receptacle. The tissue boxes with the clear plastic covering the hole works great. It is easy to push in your trash, and the plastic essentially traps little feathers tips and butts and fluff from escaping. This old tissue box has been on the side of my desk for years. When (if?) it gets full I'll just replace it with another.